Paper craft artwork is probably my favorite style. I believe the reason is simply because I would never be able to create something nice with this technique, at least not as nice, or I’d say amazing as the work that my fellow Brazilian Arthur Régis put together titled Cali Lifestyle. What really fascinates me is the depth that the composition gets by the order of the layers which seem to come alive at first glance. For this creative project the idea is a paper-craft piece using colored paper, foam paper and glue. The choice of material and the way it was used refers to the several layers this state has and all of it’s amazing colors, that are very important in the project because it also express the diversity and the weather of California. The vivid and warm colors correlate with the sun and the heat of the West Coast and contrasts with the cold colors of the ocean and sky, creating a divisional line that divides the viewer’s focus in two contrasting areas. 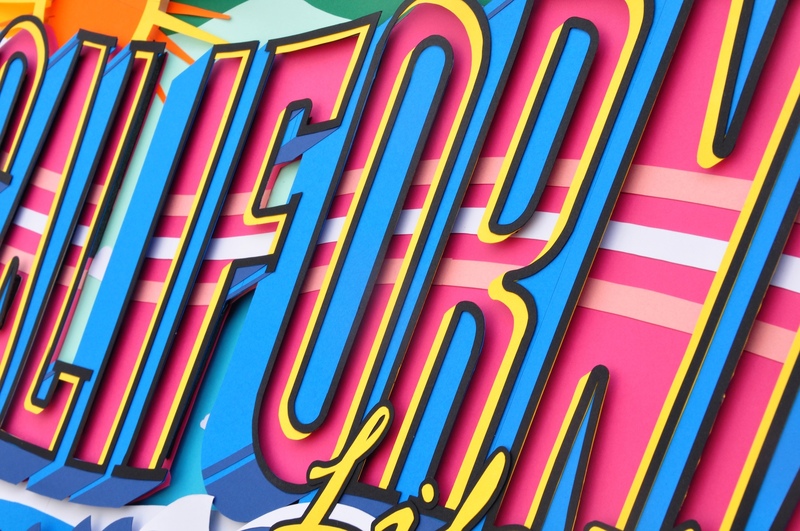 The “Lifestyle” typography was a reference to the license plate of the state, but in this 33×21 inches project, the focus is the word “California”, an exclusive lettering that mix the artistic part with the conceptual part of it (Lettering + California Lifestyle) and becomes a singular design that express my vision of what could be the California lifestyle and culture. Singular design that express my vision of what could be the California lifestyle and culture. Avoid Common WordPress Security Issues 40 Absolutely Creative Billboard Ads!